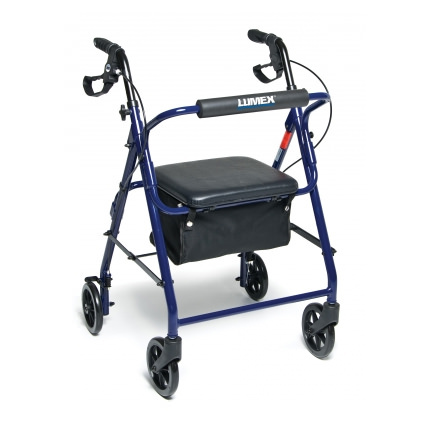 Lumex Walkabout basic four-wheel rollator offers a comfortable, lightweight and affordable solution to mobility. 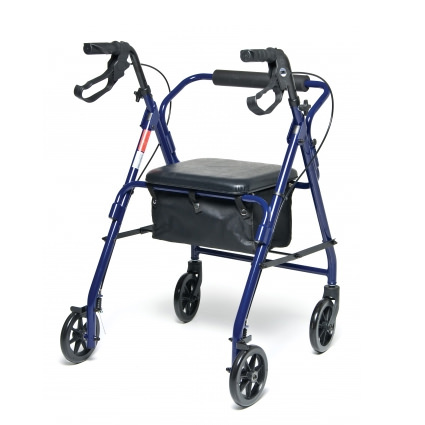 Walkabout basic four-wheel rollator is designed with an aluminum frame and folds quickly and easily into a compact unit for storage and transport. Walkabout basic rollator features easy to operate locking and “quick stop” loop brakes which allows pull up to stop and push down to lock. 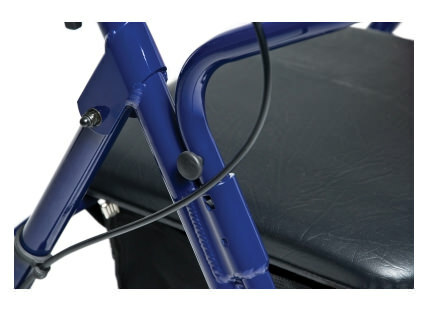 A pouch is included with the basic rollator for storage of personal items.